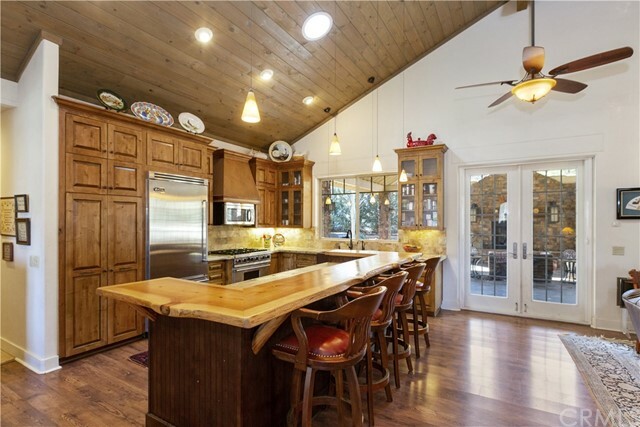 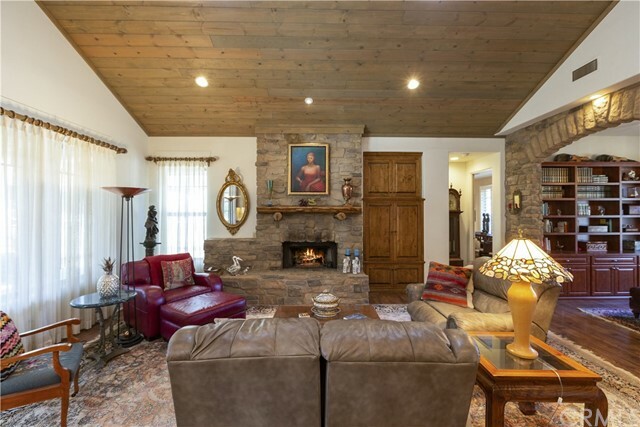 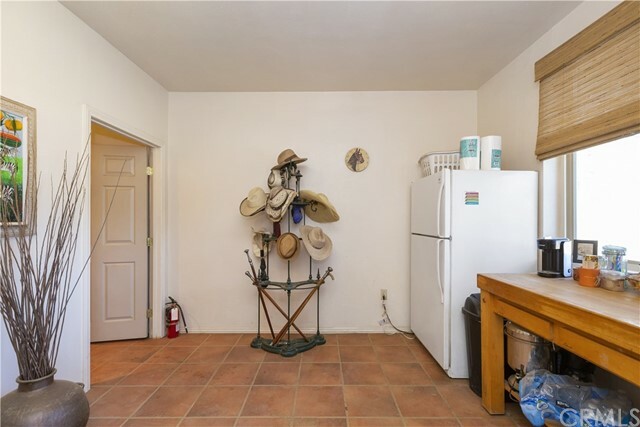 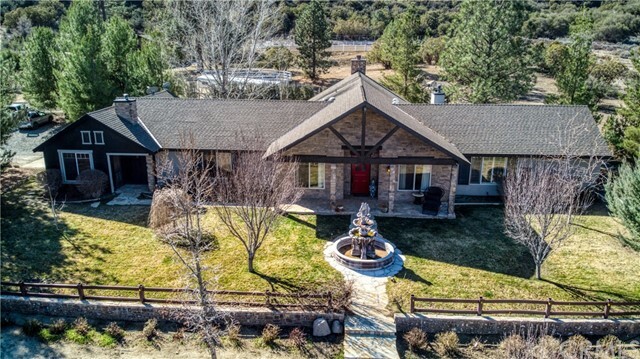 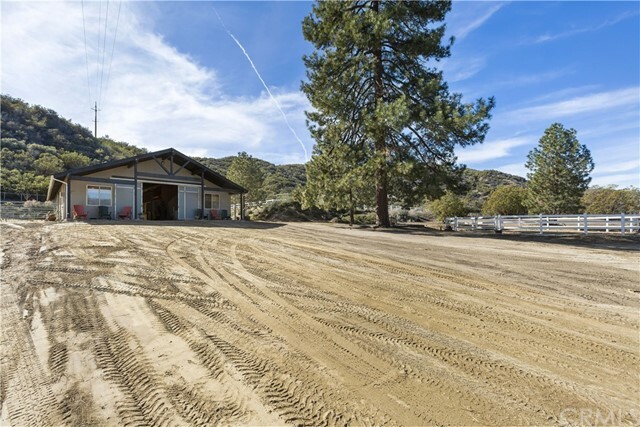 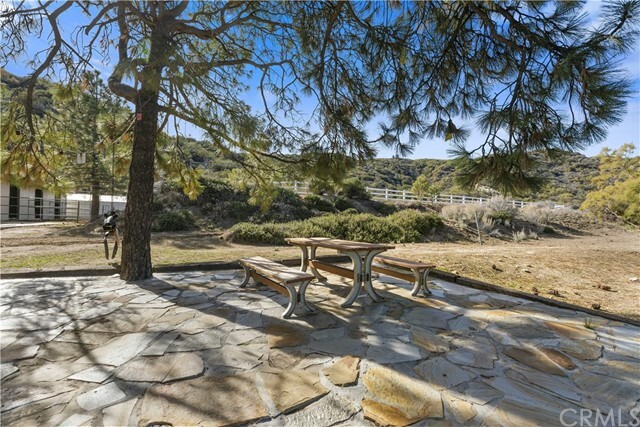 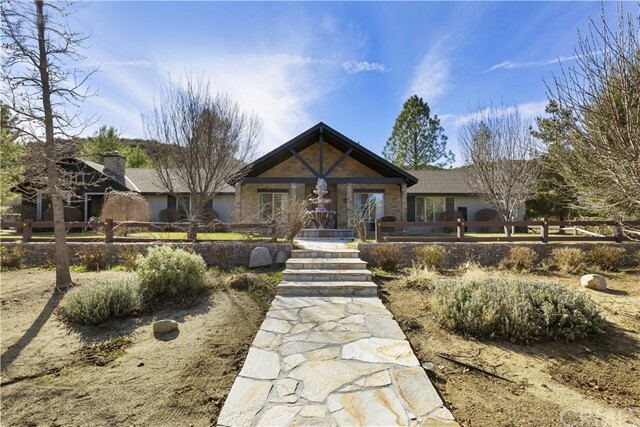 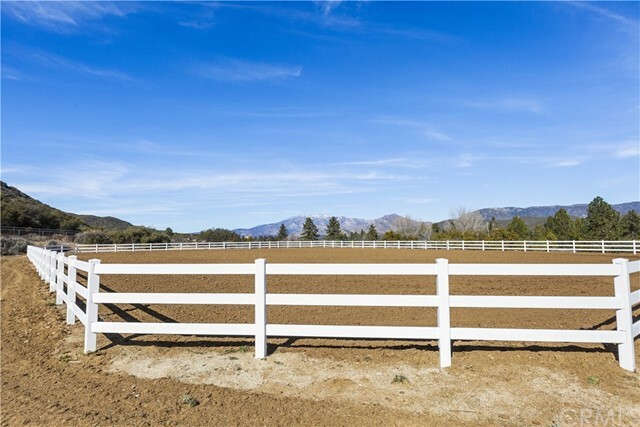 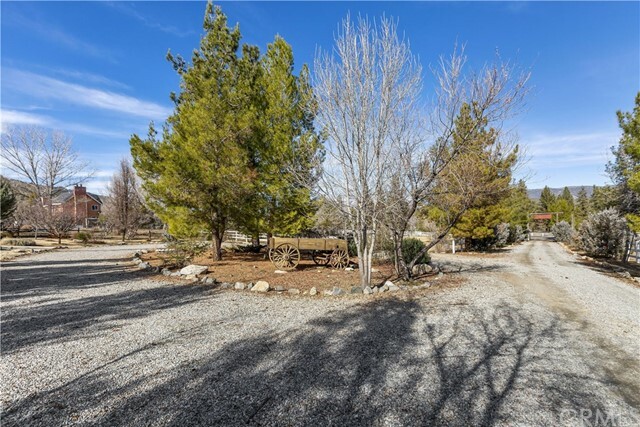 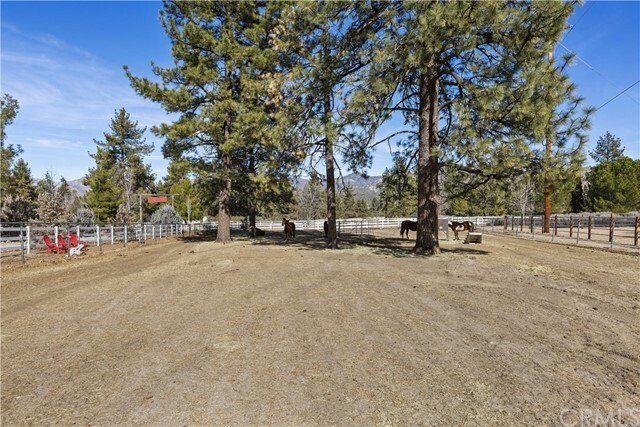 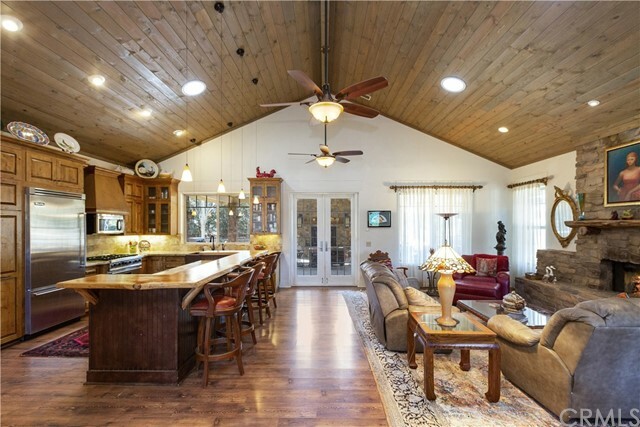 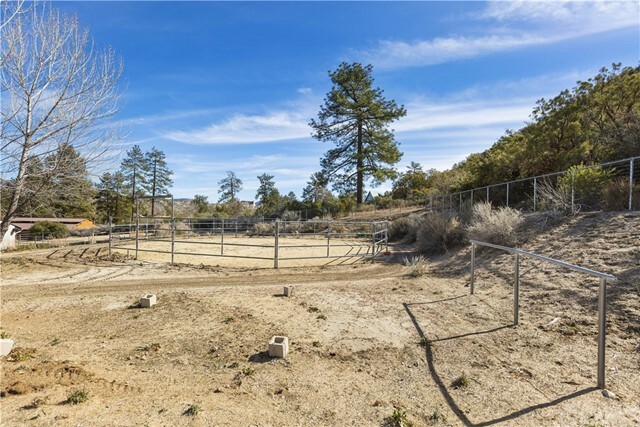 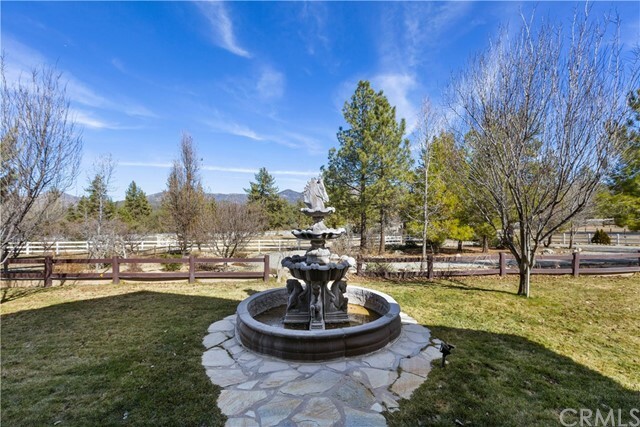 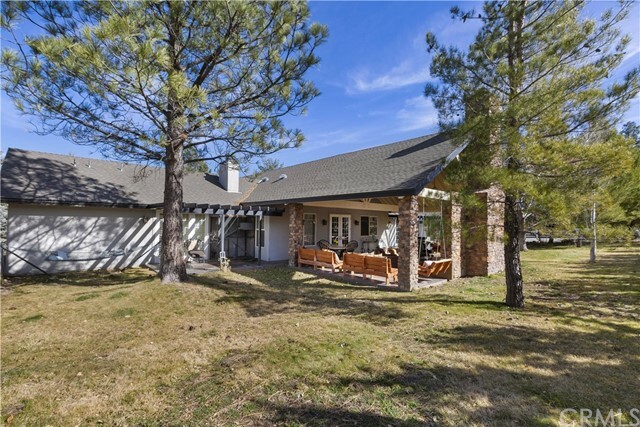 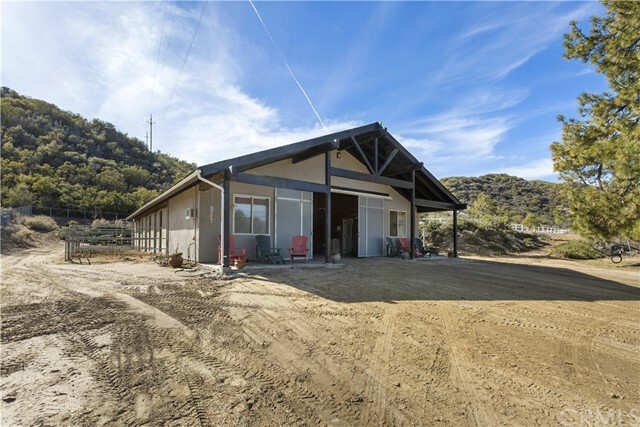 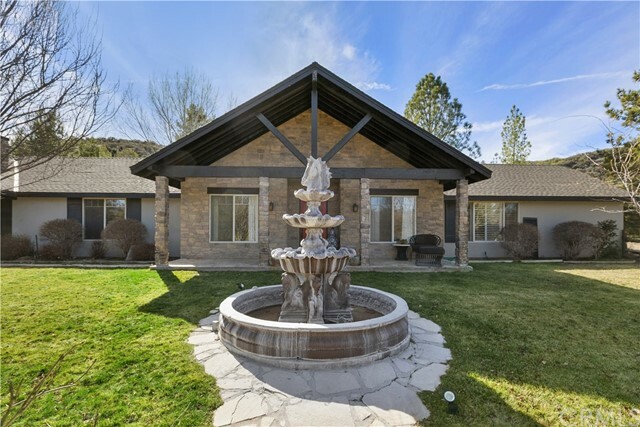 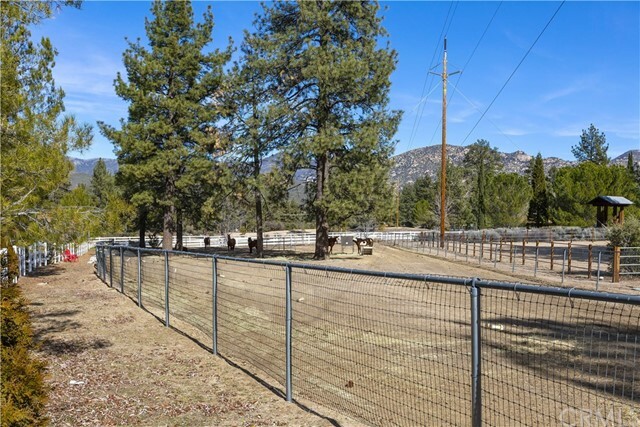 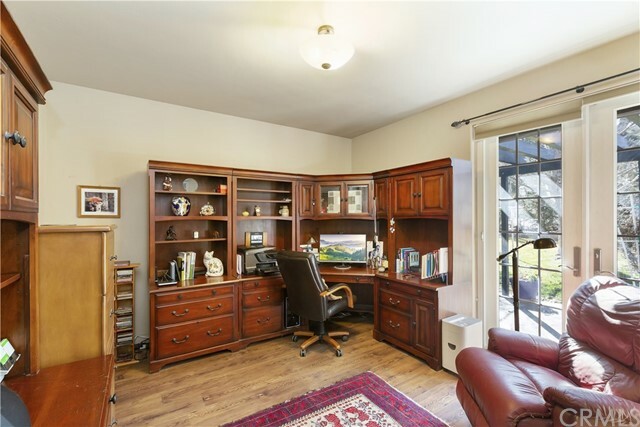 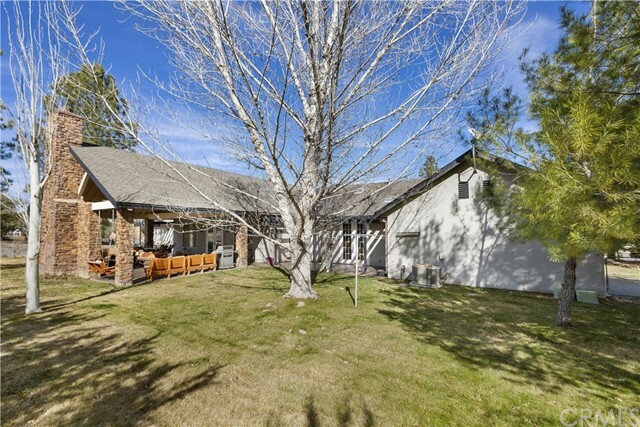 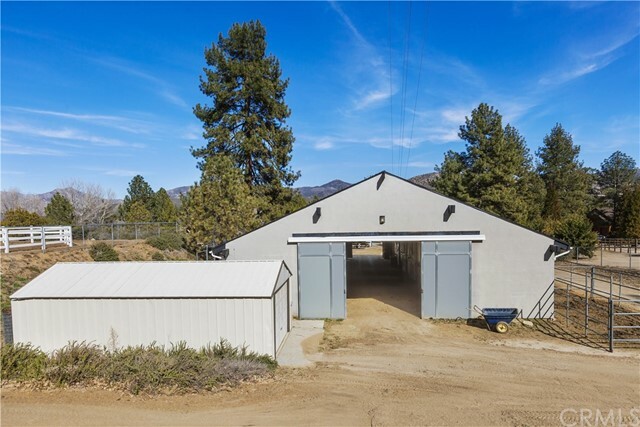 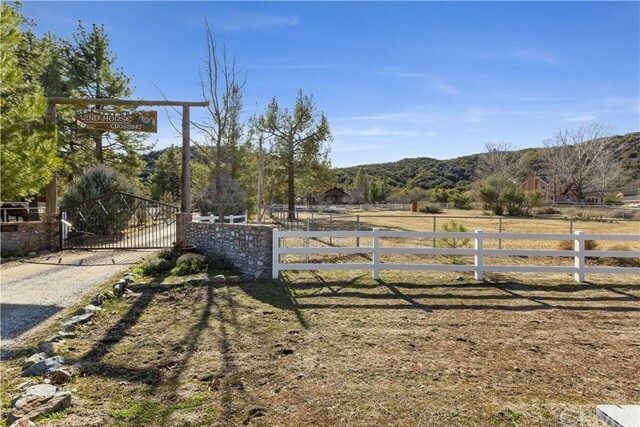 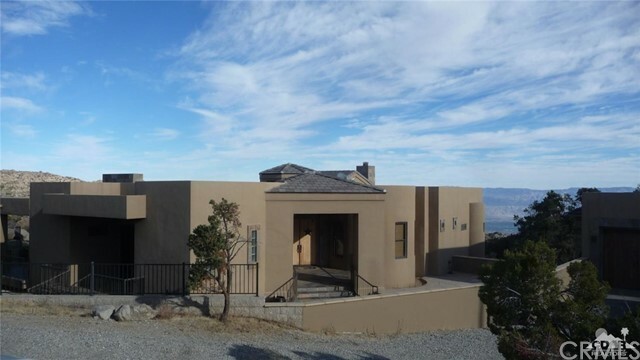 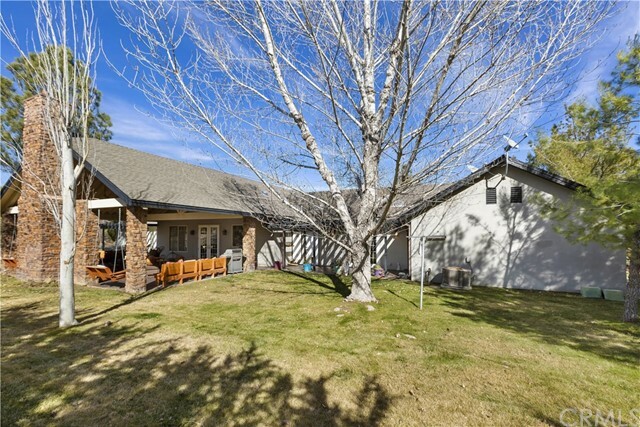 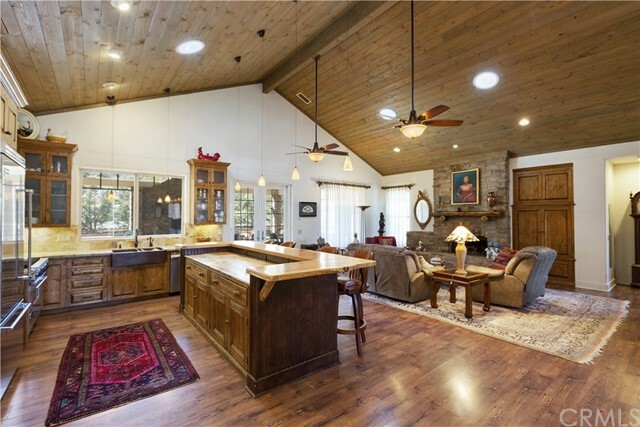 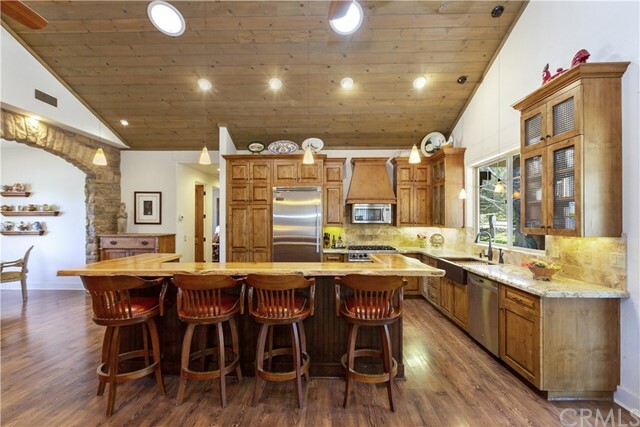 Garner Valley Horse Property! 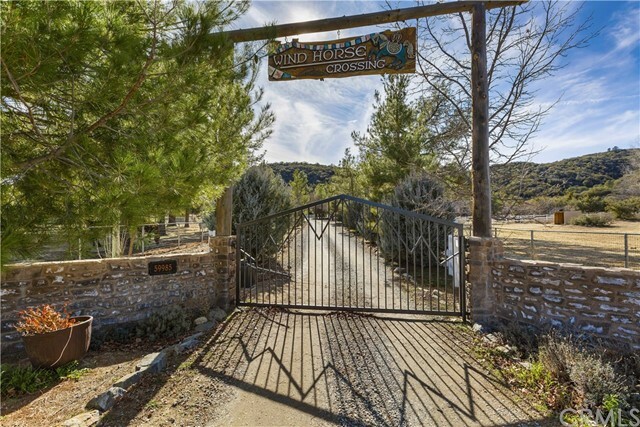 Miles of trails at your door! 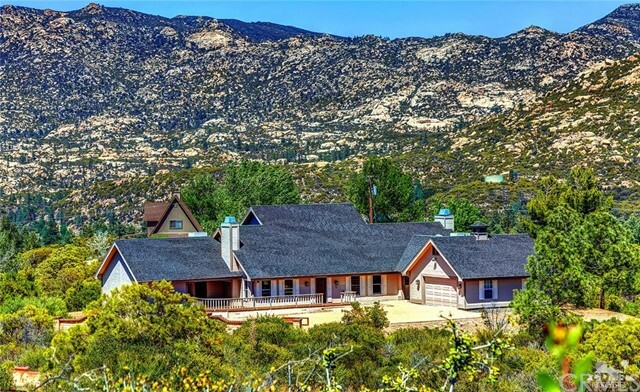 Nestled among the hills and trees is your new 5+ acre private mountain getaway. 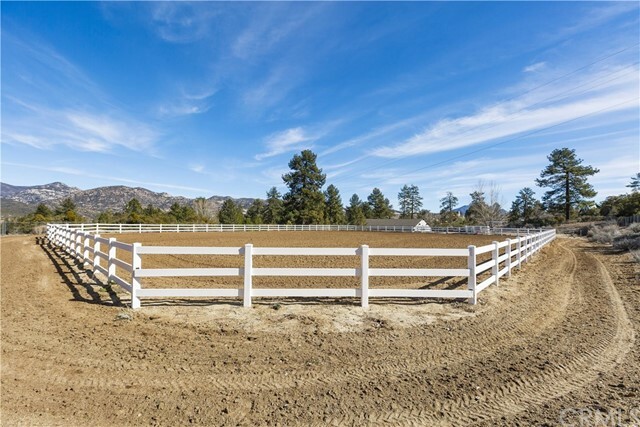 Landscaped, fully fenced & cross-fenced with automatic gate entry and gravel drive. 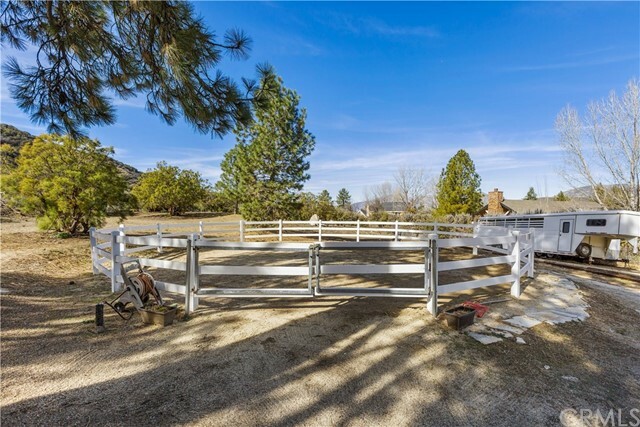 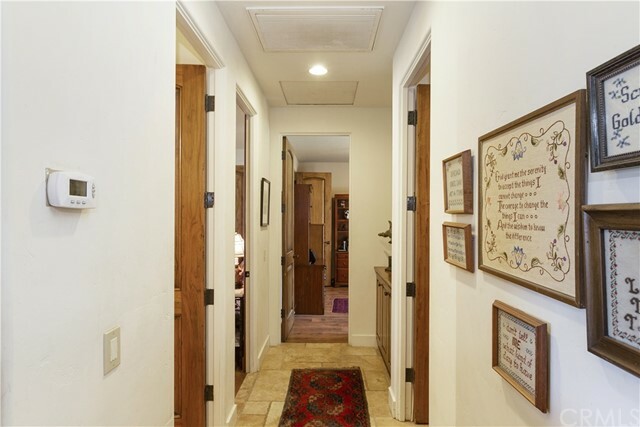 The two large horse pastures that run along the tree-lined driveway make for an inviting entry. 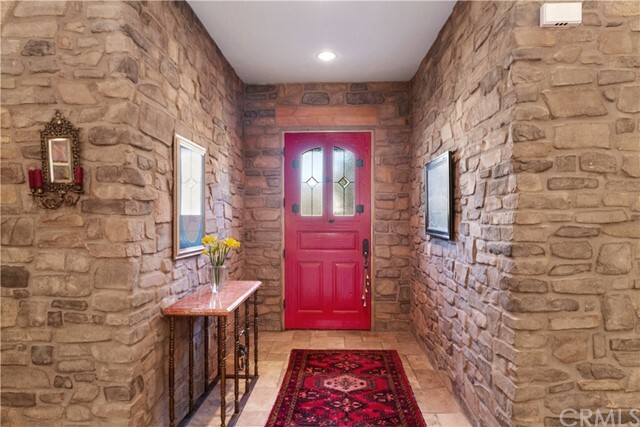 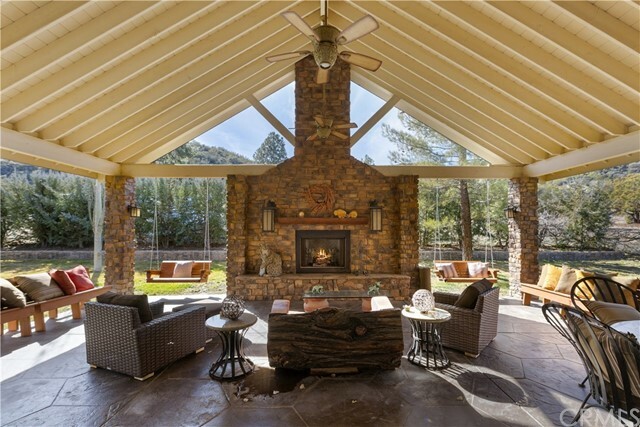 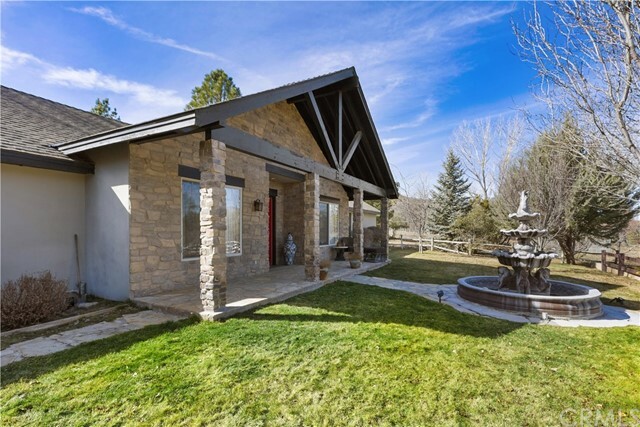 The single-story ranch home of 2700 sf greets you warmly with its stone front and portico entry. 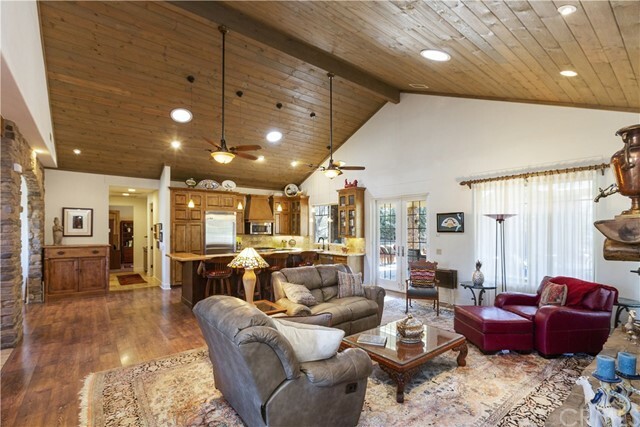 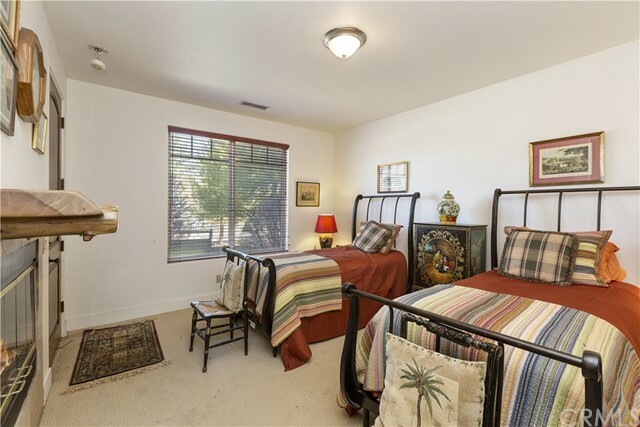 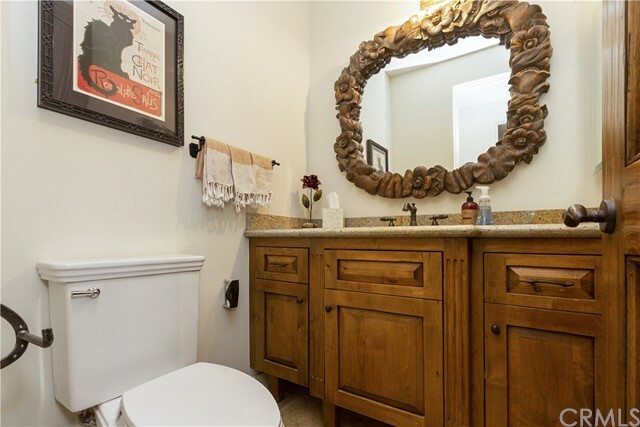 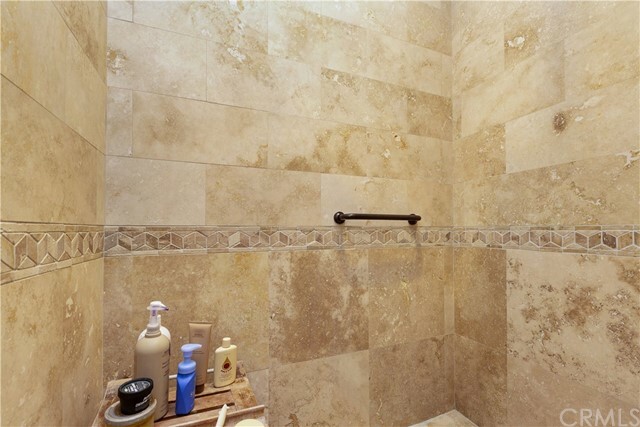 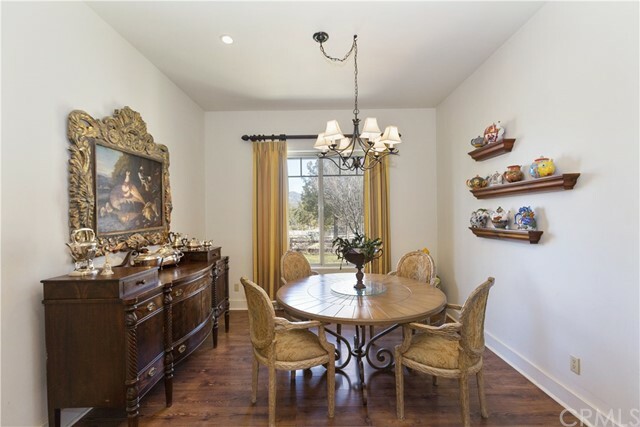 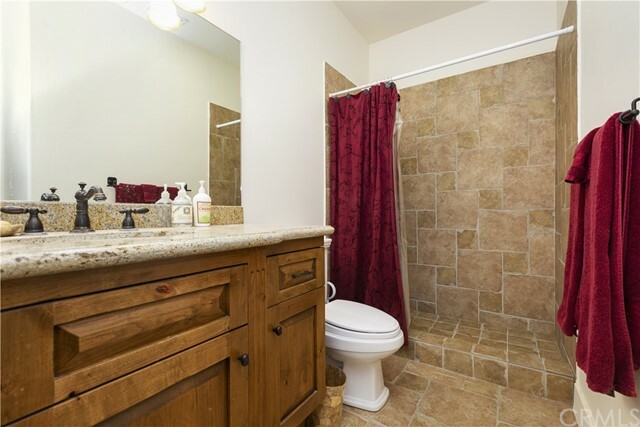 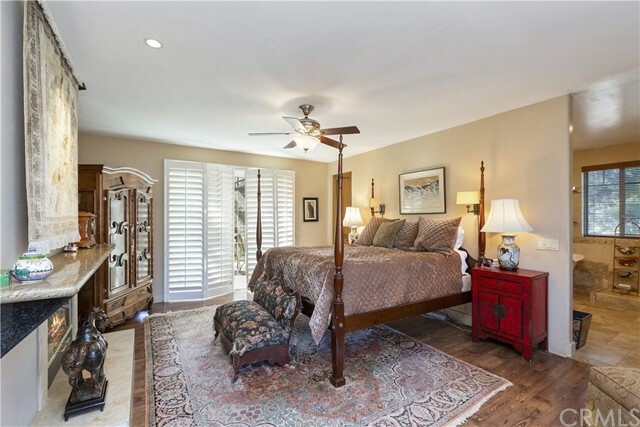 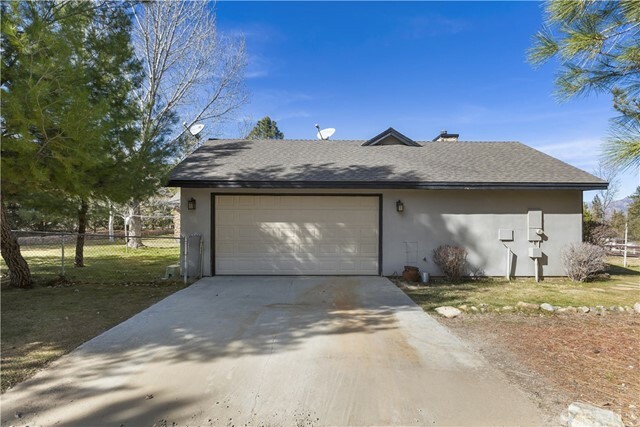 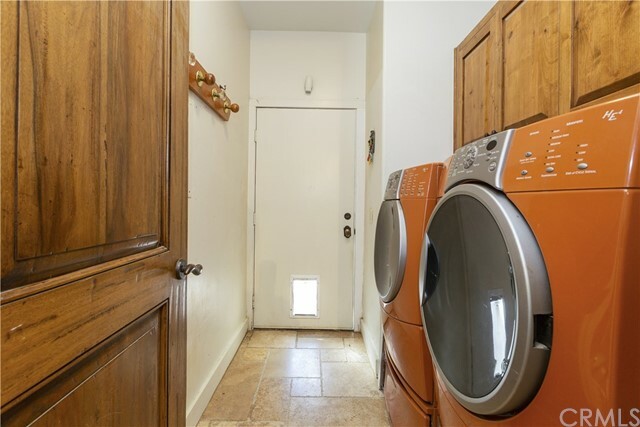 The home has an open floor plan, vaulted ceilings, tile and hardwood floors. 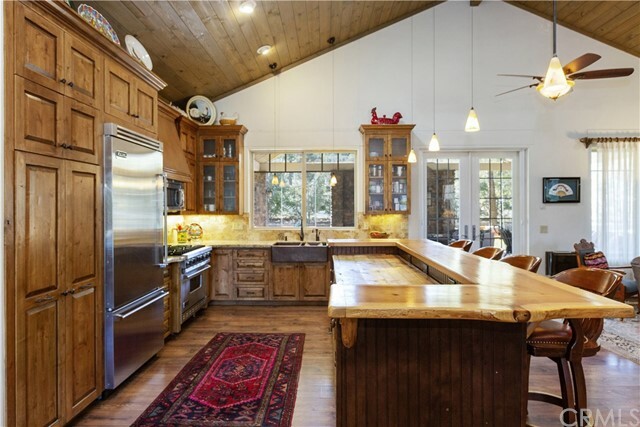 The great room features a well-appointed kitchen that includes a large center island, Viking appliances, with granite & wood counters. 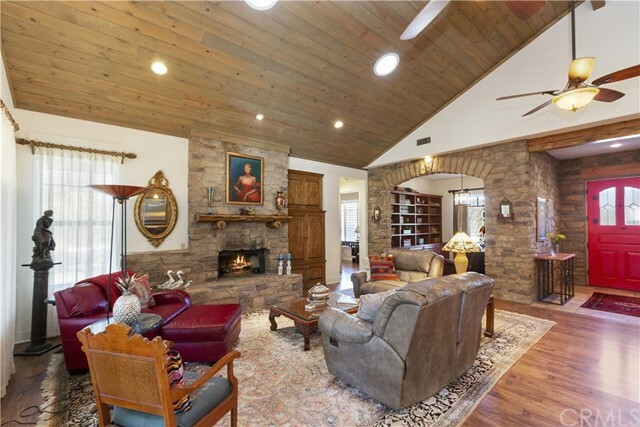 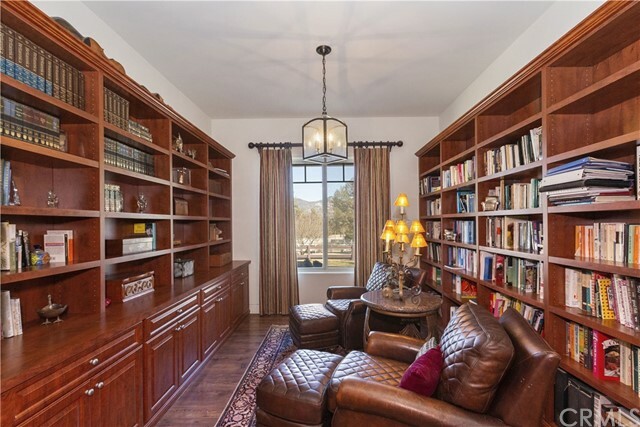 The fireplace in the living area can be viewed from the kitchen and the great room flows to the formal dining area and library. 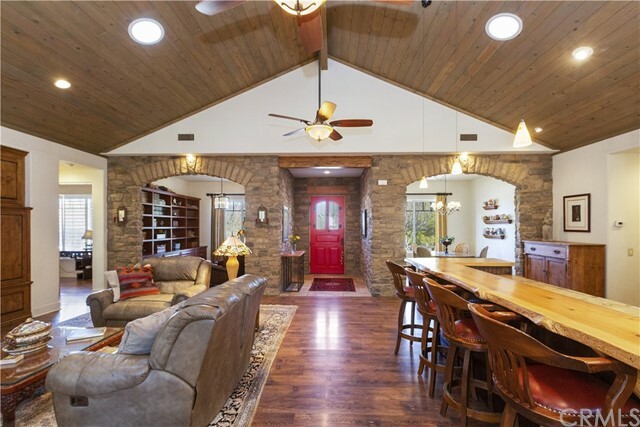 Make your way through the French Doors off the kitchen to the large covered back patio with stamped concrete and dropped pendant ceiling fans. 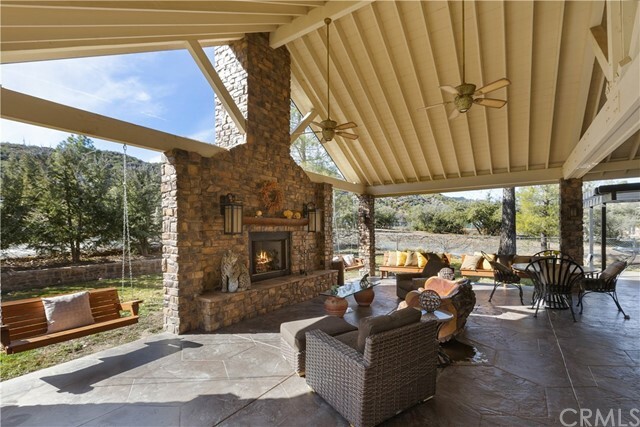 This gorgeous back patio is highlighted by a beautiful stone fireplace with a raised hearth giving it a wow factor of ten. 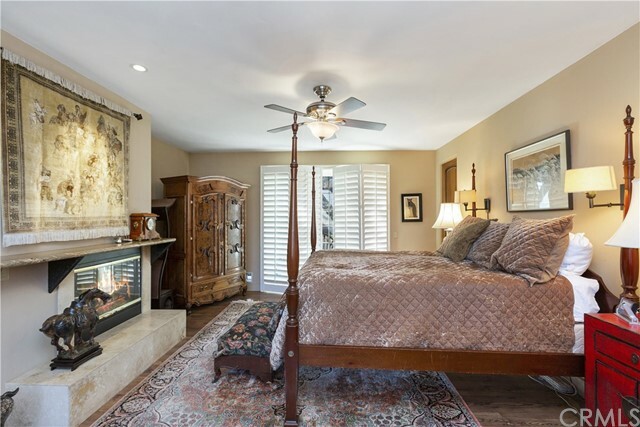 The fireplace in the master bedroom warms the room and the claw foot tub in the master bath makes for a relaxing evening. 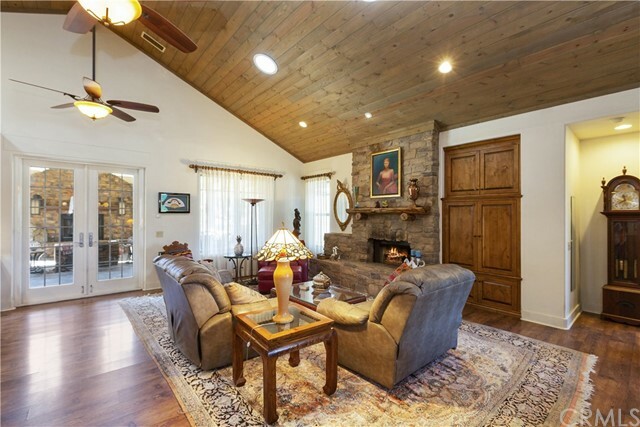 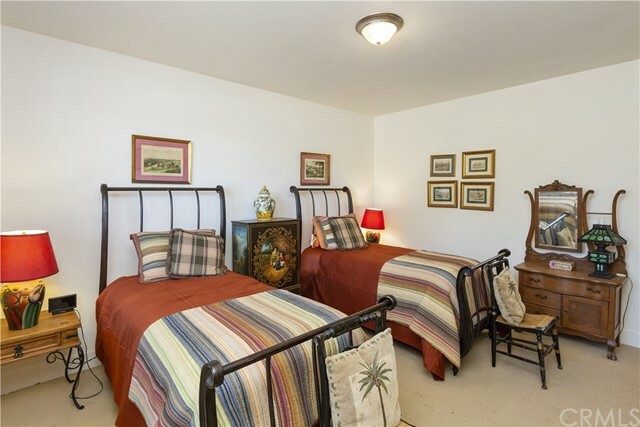 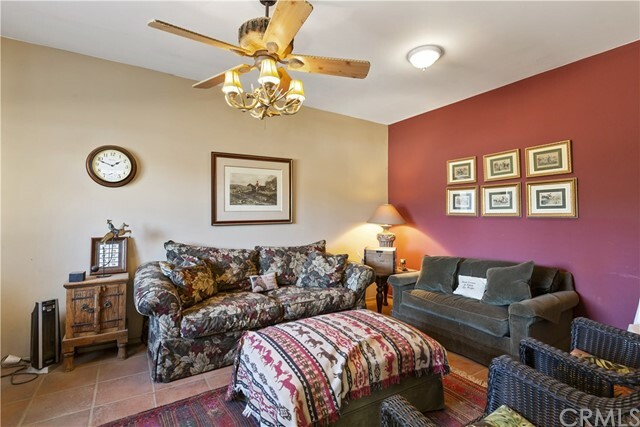 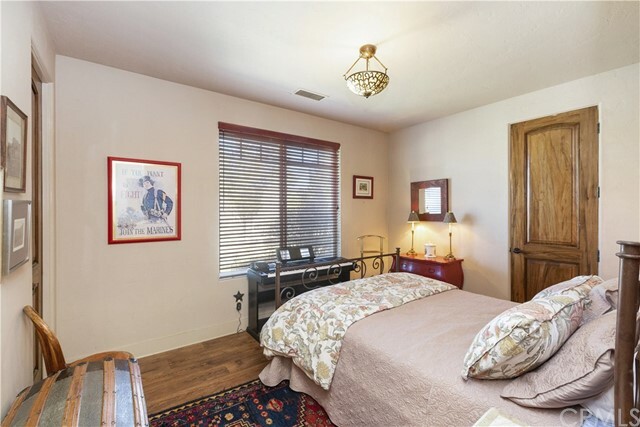 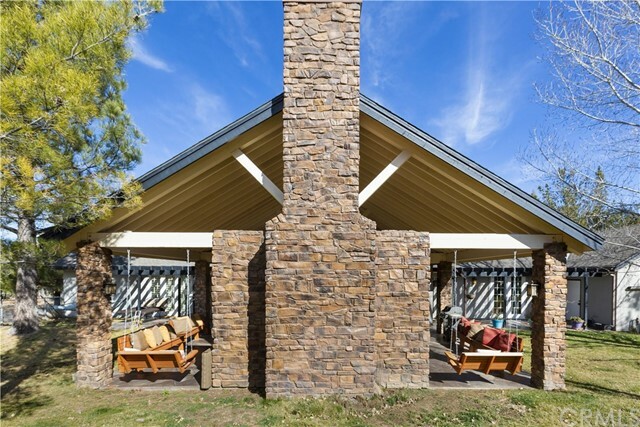 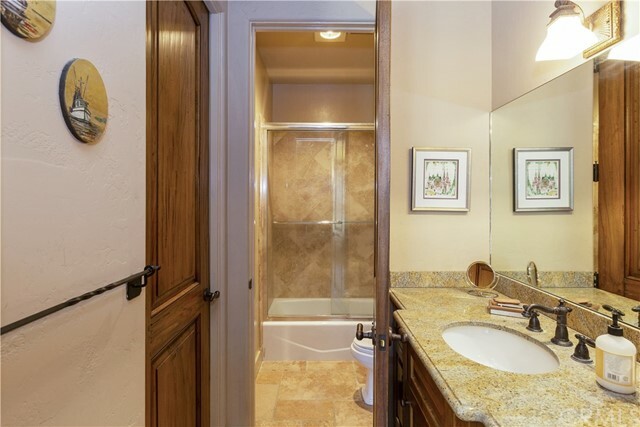 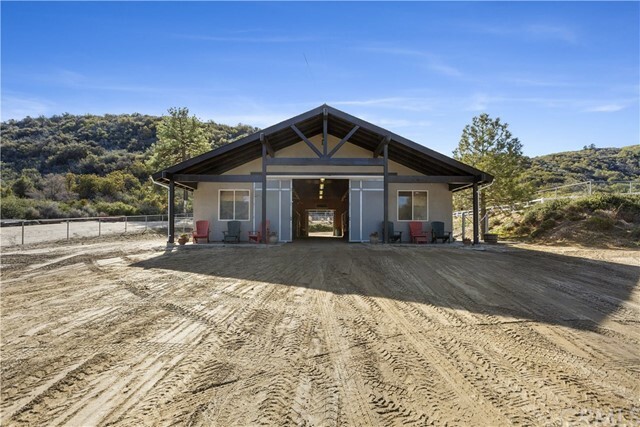 Adjacent to but separate from the main home is a 1br/1ba casita w/ fireplace that is perfect for weekend guests looking to retreat to your private mountain retreat. 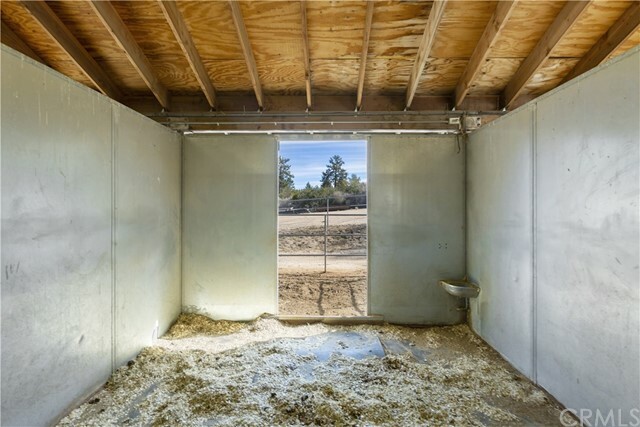 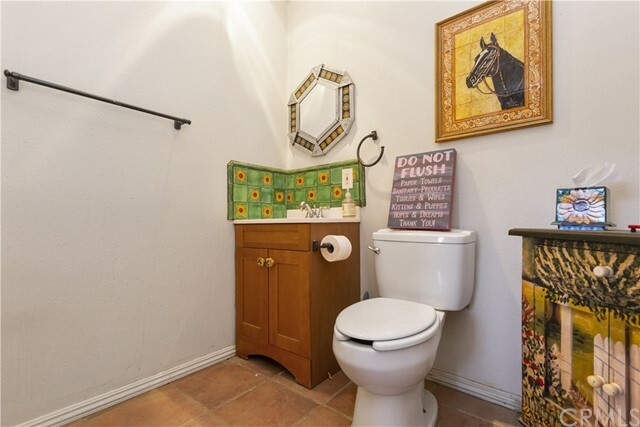 The rest of the horse facilities include an approx. 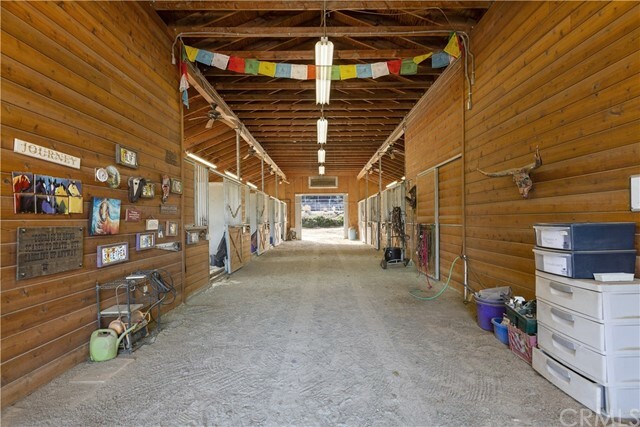 140â€™ x 175â€™ arena, two round pens & barn with 7 indoor/outdoor stalls, tack room, hay storage, bathroom, office, lounge & covered patio. 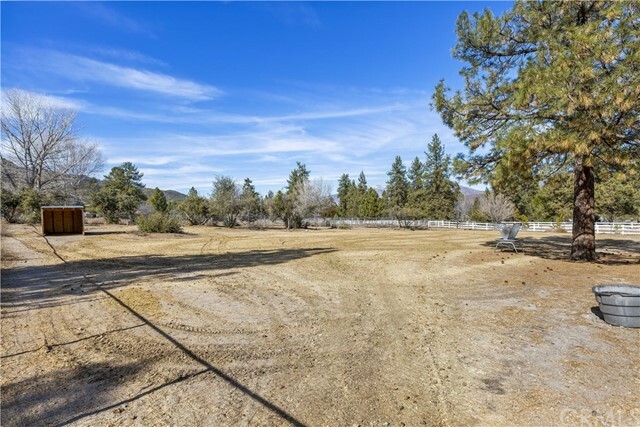 Directions: From Pines to Palms Hwy turn onto Pyramid Peak Road and then left onto Hop Patch Spring Road and go .4 mi, property will be on right.